Oh so 60s! Oh so Mondrian! Thank you GoJane for sending me this awesome dress! The fun colorblocking is to die for and I love how it is super light and flowy but not sheer. 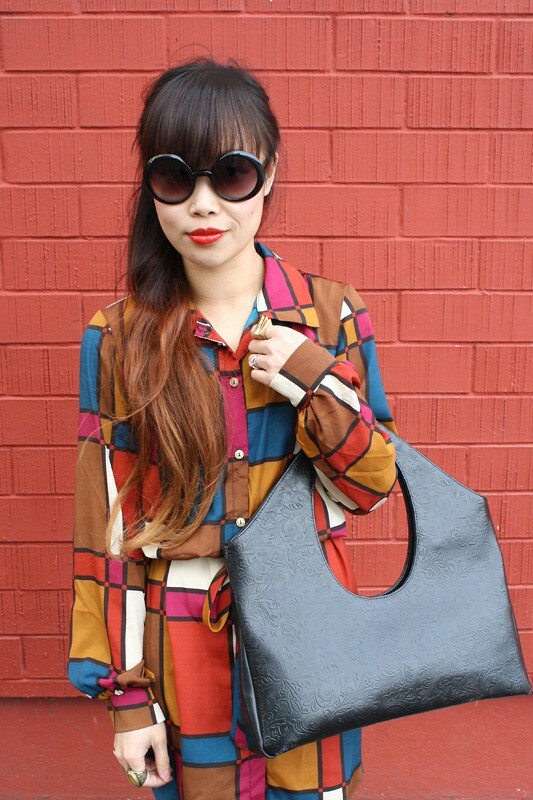 I wore it with over the knee socks, chunky wooden platforms, round sunnies, and this amazing vintage Avant Garde handbag which I bought from Buffalo Exchange in Berkeley back in my college days. The focal point is, of course, that giant handle design that forms an oval in the middle. 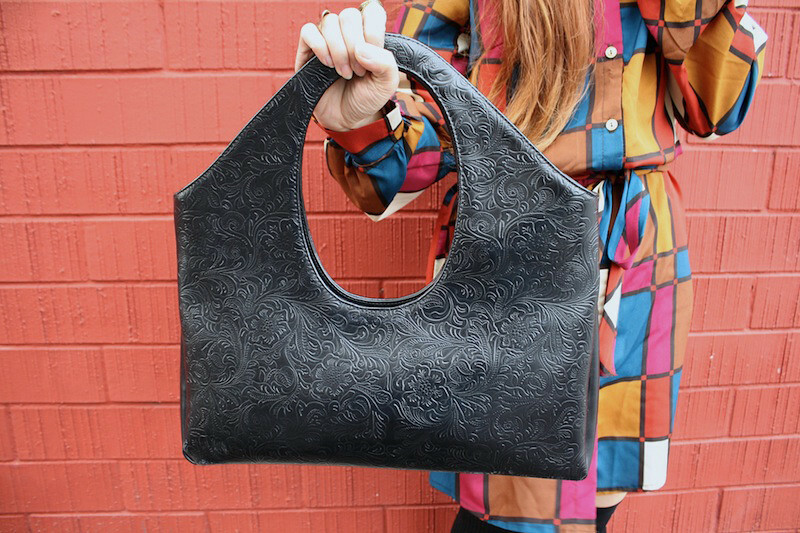 However, if you look closely, the entire bag is made of tooled leather with intricate floral details! Sooo amazing! 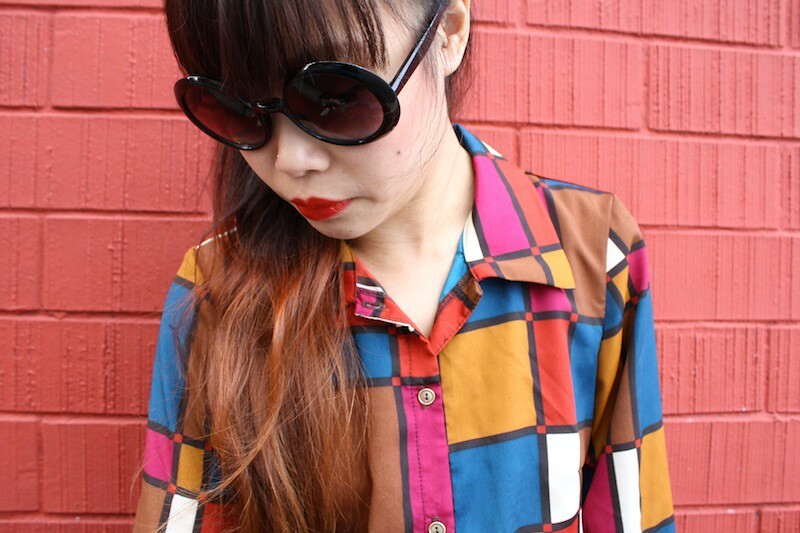 Colorblock buttoned up dress by Trac c/o GoJane. Black over the knee socks from F21. Studded suede wooden platforms from Hong Kong. Perfect dress,glasses, and bag, but the shoes I love the most. Hello fantastíc look and your shoes is love it. and i love all of the colors on that shirt..
amazing dress and love the knee highs! I love taking a break from the drone of office work to check out your latest outfits. Always so unique and inspiring! I'm so in love with this dress, too! Oh my goodness! that dress looks just like a mondrion painting! i saw it and instantly thought of that with out even reading the heading. so so so perfect!